OK…every baker has a problem now and then. I doubt I’ll ever open a bakery. But if I do, it won’t be in Denver. Second, I hear lots of the locals have a smoking problem. Third (and possibly related to the previous issue), bakers get sued for strange reasons in Denver. I can understand how a baker might legitimately get sued. Perhaps he drops his false teeth in the batter and they end up in a birthday cake. Perhaps he puts plaster of Paris instead of flour in the cookie dough. Maybe he mixes up the toothpaste and vanilla frosting. Or…a customer could slip on a banana peel carelessly discarded from the banana cream pie. But not in Denver. In the mile high city (this related to both the elevation and point two above), one baker is being sued for declining to bake for a gay wedding. 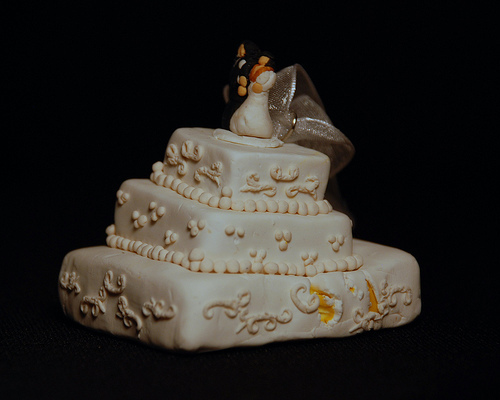 Another baker is being sued for declining to make a cake with anti-gay slogans. OK. We are talking about a cake, a mixture of flour, eggs, sugar and some flavors, artificial or natural. Not a billboard. Not an ad campaign. Not a feature film. Just a cake. And can’t a cake just be a cake? To bake or not to bake – must that be a ponderous question decided by lawyers, judges and juries? I don’t know. But bakers in Denver should sell plain, dull cakes devoid of words, images or symbols. I suppose they can still put candles on the birthday cakes – until someone realizes candles come from petroleum.